Solution X Marketing provides right solutions related Graphic Designer, Web Designer, SEO Marketing and Printing Services in San Francisco area in the USA.With a complete marketing service offering, we meet all your marketing expectations! 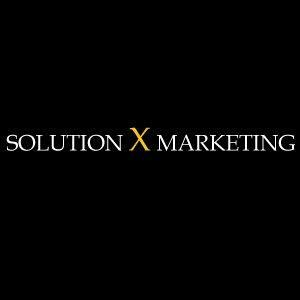 Solution X Marketing will help you establish your business!Solution X Marketing was founded in 2013 to work with small to medium businesses on their marketing tactics. We have found that many businesses currently have to source multiple companies to handle the different marketing needs that they have. Such as one company that creates a website, one that creates their print materials, one that handles event hosting, one that handles their social media, and much more. This takes a lot of time on the part of the business as they are constantly having to source a new company that they can trust. As a result, we have created a vertically integrated business that is a complete solution for all your marketing needs. This saves a significant amount of time and money on the business’s end. In addition, we do the work for you. We’re not one of those companies that gives you great advice and our support stops there. We go out and do the actual marketing whether it may be setting up meetings between your business to create a mutually beneficial relationship or getting your foot in the door at local events where you can meet potential customers. We want you to focus on what you do and leave the marketing to us!